To shave, to trim, perchance to cut, that is the question. Whatâ€™s better â€“ we ask you â€“ buying a cheap trimmer that does a â€˜mehâ€™ job or an expensive beard trimmer that does an outstanding one? Of course, you would be inclined to choose the latter option but, as you probably know by now, nothing thatâ€™s good is ever cheap. Granted, beard trimming is an important aspect of manscaping. However, to do that, you will need a tool thatâ€™s up to the job. Yes, youâ€™ve guessed it! In this article, we will try to convince you that an expensive trimmer is worth the investment. What Passes As an Expensive Beard Trimmer? Trimmers come in all shapes and sizes â€“ beard trimmers, hair trimmers, body groomers. As a man, it is essential to have a well-established manscaping routine. This way youâ€™ll be able to figure out what kind of tool is necessary to get the job done. Cheaper trimmers are usually good at getting one or two jobs done, like a little trimming of the beard and hair. However, more expensive models can help you deal with hair no matter where it grows. Some can even help you hack away the hair from your back. Keep in mind that you can easily tell the difference between a cheap and an expensive beard trimmer by its precision. Yes, we know that kind of statement might sound a bit moronic, but precision is everything when it comes to trimming. You would want your tool to cut those excess hairs, not pluck them. Speaking of which, blade quality is also an important factor when choosing the best beard trimmer. Cheaper models usually pack carbon steel blades â€“ good for a trim or two, but bad in the long run since carbon steel does have that awful tendency to rust when exposed to excess humidity. Of course, the obvious next step would be to purchase a trimmer with stainless steel blades. There are advantages and disadvantages to using stainless steel blades for beard trimming. To name just a few, stainless steel blades are corrosion-free, and they work wonders on thick hairs. However, theyâ€™ll need sharpening more often compared to carbon blades. Now, if you really want a trimmer that makes a difference, you should aim for one that packs carbon steel blades coated with titanium â€“ they are far more precise, can endure humidity, and donâ€™t wear out that easily after sharpening. For those of you who want to take things to the next level, there are also ceramic blades available on the market. 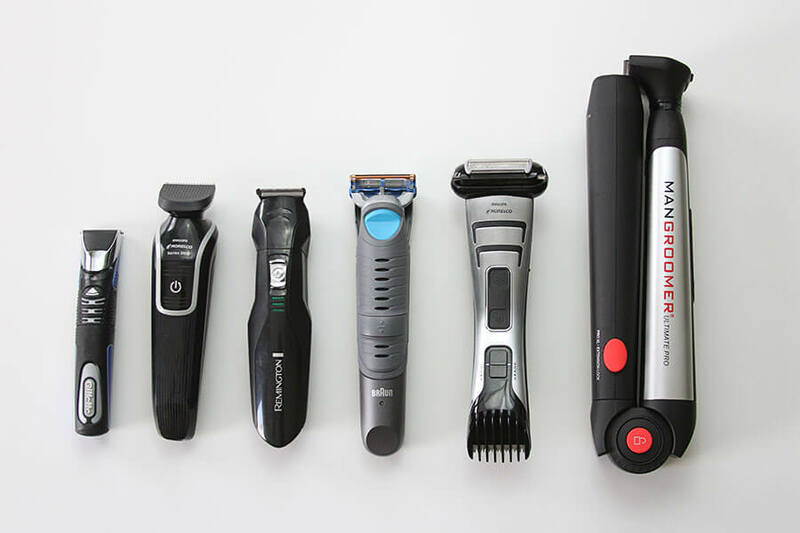 Beard trimmers packing these types of blades are a little more expensive compared to your average trimmer, but they are, by far, the best choice if youâ€™re looking for a precise and high-end beard trimmer. Careful with the blades, though, because they do tend to break off easily if you force them. Now that we got this out of the way, letâ€™s talk about accessories. As you probably know by now, a beard trimmer seldom comes alone. Most manufacturers include various accessories such as 5-mm medium combs, 3-mm small combs, precision hair comb, or the 10-mm large comb for really thick and long beards. As you might imagine, cheaper trimmers usually come with one, maybe two accessories, unlike high-end models, come with all sorts of styling attachments. So, no matter how long or short your beard is, you will definitely use at least one styling implement to make your beard look awesome. Thereâ€™s also the matter of skin sensitivity. Remember the last time someone was shaving with cold water while you had to take a shower to prevent your skin from becoming irritated? Well, trimming is not the same thing as shaving with an electric razor, but thereâ€™s still a chance you get off with some bad sores and even cuts. How can that be? you might ask. By using a really cheap trimmer, of course. Hereâ€™s a little story to back up our claims. We bought a trimmer a while ago. Paid no more than $30 for it. Ten minutes into trimming, we realized that the 3-mm end was for naught and the trimmer was actually plucking hair instead of actually cutting it. Needless to say, the whole thing left us with some pretty bad sores and we had to shave just to be able to get out of the house. So, our advice â€“ donâ€™t be a cheapskate and pay the extra buck for the tool that will make you look spiffy. To wrap everything up nicely and smoothly, hereâ€™s what an expensive trimmer can do for you. It will trim that beard nicely and evenly, never going to break down, and definitely not going to pluck your hair. 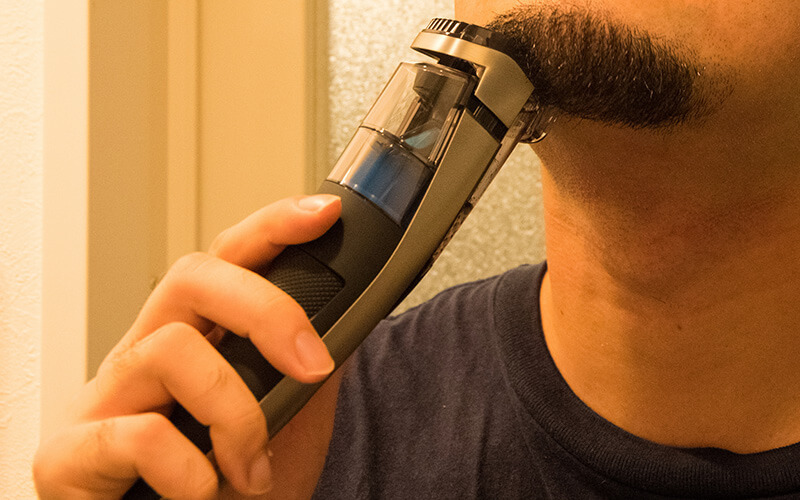 So, if youâ€™re into beards, a high-quality beard trimmer is exactly the thing you were missing. Jeffrey Arvel is a full-time barber from Portland, Oregon. Beside his daytime job, he contributes toÂ Shaving SolutionÂ where he likes to spread his insights on how to properly maintain your skin and hairâ€™s health.